Johnson & Johnson Cleared Of Liability In A Talc Cancer Lawsuit: But What It Mean? Johnson & Johnson Cleared Of Liability In A Talc Cancer Lawsuit: But What Does It Really Mean? On behalf of Admin of JML Law, A Professional Law Corporation posted in Product Liability on Saturday, Nov 10 2018. 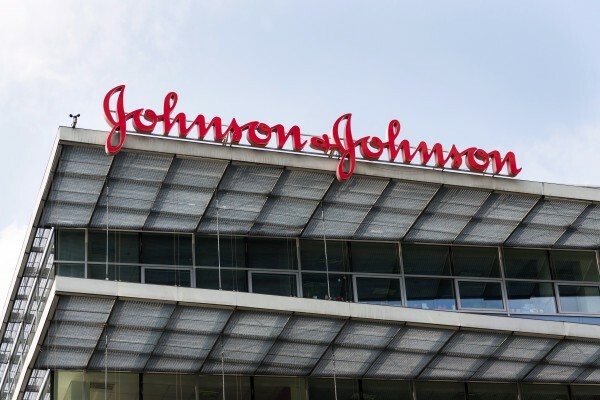 Johnson & Johnson has been cleared of liability by a California jury despite previously losing three cases in New Jersey, California, and Missouri. In the most recent trial, Johnson & Johnson has been cleared of liability in a case involving a woman, Carla Allen, who alleged that the company’s talc-based products caused her mesothelioma, a type of cancer linked to asbestos exposure. In her product liability lawsuit filed against Johnson & Johnson in Humboldt County Superior Court in Eureka, California, Mrs. Allen alleged that the company’s talc products, including its Johnson’s Baby Powder, contain asbestos which caused her the tissue cancer. Despite consumers continuing to file product liability claims against Johnson & Johnson over its talc-based products, the company denies the allegations. J&J claims that there are decades of scientific testing and regulatory approvals that have repeatedly shown that their talc products are safe for consumers and contain no asbestos. But that’s not what consumers are saying. In their lawsuits, plaintiffs allege that Johnson & Johnson was aware of the asbestos fibers contaminating its talcum powder products but chose to conceal that fact. As of October 2018, more than 11,700 talc cancer lawsuits have been filed against Johnson & Johnson. According to a recent lawsuit filed in New Jersey federal court, of these 11,700 product liability lawsuits against J&J, more than 9,700 were based on claims over ovarian cancer. The remaining 2,000 lawsuits against Johnson & Johnson allege that the company’s talc products caused them mesothelioma. In July this year, J&J was ordered to pay nearly $4.7 billion in damages to 22 women who sued the company for its talc products, which caused them to develop ovarian cancer. Why was J&J cleared of liability? Following the most recent ruling, in which J&J has been cleared of liability, the company issued a statement saying it was pleased with the jury’s decision. The company went on to say that the plaintiff’s disease was not caused by her use of talc-based products. The jury trial lasted for about seven weeks before the California jury cleared Johnson & Johnson of liability. Our experienced product liability attorney in Los Angeles, who has looked into the case, says that the jury, plaintiff, or defendant have yet to reveal more details about the lawsuit. Although Johnson & Johnson has faced talc cancer lawsuits for several years, it has lost three cases and has been cleared of liability in three others. Of the three lost cases, the company was sued over its talc products causing mesothelioma in two lawsuits, in which the plaintiffs were awarded a total of $142 million in damages. Both decisions are under appeal. The three other product liability cases, in which the company has been cleared of liability, were centered on mesothelioma as well. Consumers and safety advocates alike claim that Johnson & Johnson covered up evidence of asbestos in its products for more than four decades. If you have been using J&J products and was recently diagnosed with ovarian cancer or mesothelioma, it might be a good idea to consult with a Los Angeles product liability attorney to discuss your options regarding how to sue Johnson & Johnson. Schedule a free consultation by contacting JML Law. Call at 818-610-8800.